“Hit him with a rock!” | What are we...the Whos? These are certain moments in life that define what kind of person you really are. When faced with danger, would you run for your life or sacrifice yourself for the people you love? We all walk around telling everyone that, of course, we’d throw our lives on the line when it came to protecting our friends and family. But, can we all really be that selfless? You would think that a sense of self-preservation should kick in at some point. But when the choice was upon me, I’m proud to say that I didn’t hesitate. I sent my sisters running while I stayed behind to battle… with the geese. Now, I’m sure you’re thinking that this situation doesn’t qualify as truly willing to sacrifice my life, seeing as how my life wasn’t actually in danger (I don’t know the numbers on murderous geese, but I feel they can’t be very high). But, I was a child and these were wild, albeit toothless, animals and they were on a rampage. We were innocently swinging and playing on the playground when we first saw the three geese approaching. All animal lovers, we were pretty pumped. But, they started coming faster and their happy waddle began to look more and more like an ominous death march. Being the oldest, I felt I had to protect my sisters and decided we should probably head back to our parents and the safety of the camper. I just felt these geese weren’t interested in being friends. My suspicions were justified the instant we left the playground. The beasts charged at us, wings flapping and honking their battle cries. “Kayla, Maggie, RUUUUN” I jumped between my sisters and the geese- attempting to hold off the vicious animals while Kayla and Maggie scrambled up the hill. The geese leader showed his disdain for my bravery by latching his bumpy beak to my thigh. No animal loving thoughts were near my mind as I grabbed his long neck and shook with all my might. By this point, Kayla and Maggie had reached the temporary safety of the hill top and began pelting the geese with rocks to keep them at bay. Between my frantic strangling and the rocks, lieutenant goose released his grip and I was able to hobble up the hill. 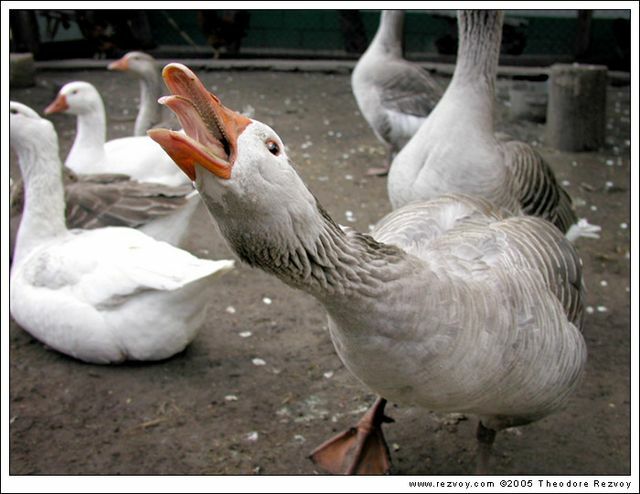 To our complete horror, once we were able to get the full story out, we were chastised for tormenting the geese. THE GEESE! We had barely made it out of the playground with out lives and we were in trouble for messing with the animals. There was no convincing my parents that the geese had attacked us- that we were the real victims. 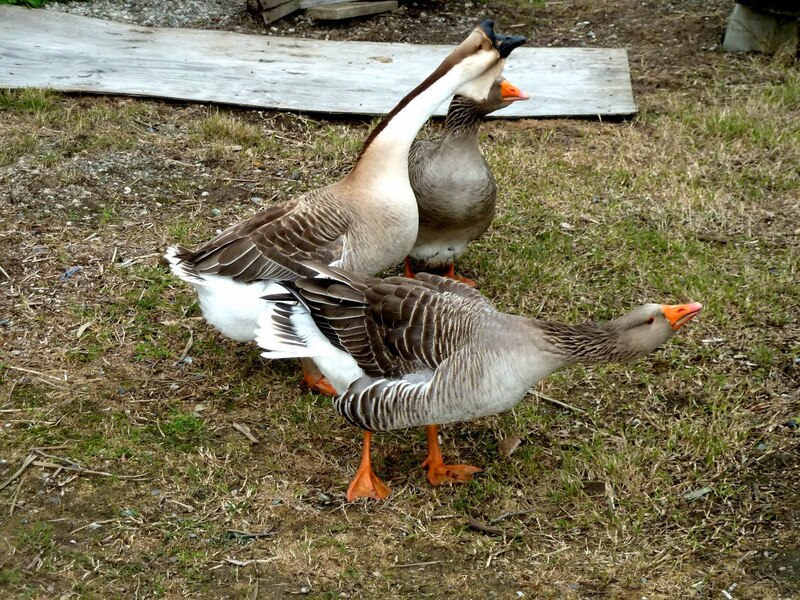 And let’s face it, the idea that three geese charged three children without provocation is pretty hard to believe. So we moped about the campsite for the rest of the day occasionally bursting out about how horrible they were and the injustice of it all. I kept pointing to the spot where I swore a bruise was forming on my thigh, but that just reminded my parents I almost strangled a goose and made them angry. Why couldn’t they appreciate my bravery? How could they see us as the bad guys? The truth had to come out. As it turns out, we didn’t have to wait too long for our justice. 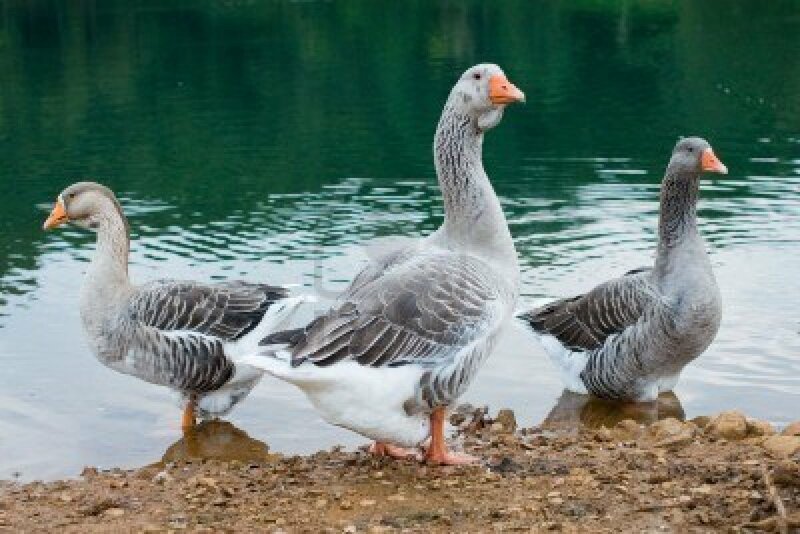 The next morning while we were having breakfast, we heard the unmistakable honk of a goose on the warpath. We look up to see the three of them heading our way and fast. As expected of three little girls, we began screaming like lunatics. Our parents were shocked at our behavior and chastised us for overreacting. But those feelings didn’t last long. The geese marched right up to the table and bit my mom. All three of them began biting, flapping their wings and honking. “We’re going to DIE” “No we’re not. Hush” But we could see the fear in my parents’ eyes. After a few minutes of goose smacking and screaming, all five members of my family ended up on top of the picnic table. My dad just kept mumbling “I don’t understand” while we moaned about how our parents should have believed us and threw frosted cheerios to distract the geese. My father suddenly realizes what he needed to do. He courageously stood up and left the picnic table despite all our cries of, “Daddy, no!” He began to take giant steps while raising his arms up and down. We were just concluding that he had contracted some crazy goose virus from a nasty bite when he explained that he was making the geese believe he was bigger than them. Sure enough, the geese slowly backed away and went to torture some other unsuspecting campers. They didn’t bother us again for the rest of the weekend. Though, we did spend the whole time looking over our shoulders and having nightmares about flapping wings. 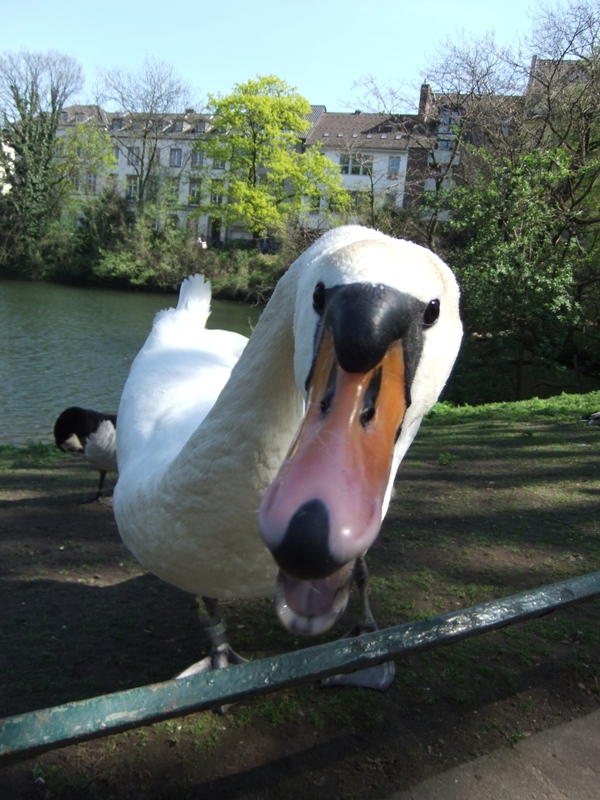 Posted in Uncategorized and tagged animals, attack geese, Camping stories, funny, geese. Bookmark the permalink.